Buttery croissant dipped in an egg custard and grilled to crisp perfection. 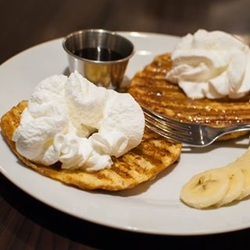 Dressed with caramel sauce and whipped cream. A breakfast sandwich that is out of this world! An english muffin is smothered in cheese and topped with a poached egg. Steel cut oats topped with fruit, sunflower seeds, and fresh agave syrup. A warm tortilla filled with fresh spinach and tomato, scrambled egg, hash browns, green pepper, jalapeno, onion, and cheese. A warm tortilla filled with seasoned black beans, hash browns, green pepper, jalepeno, and onion. A warm tortilla filled with seasoned sausage, scrambled egg, hash browns, green pepper, jalapeno, onion, and cheese. A warm tortilla filled with smoked bacon, scrambled egg, hash browns, green pepper, jalapeno, onion, and cheese. Our signature panini. 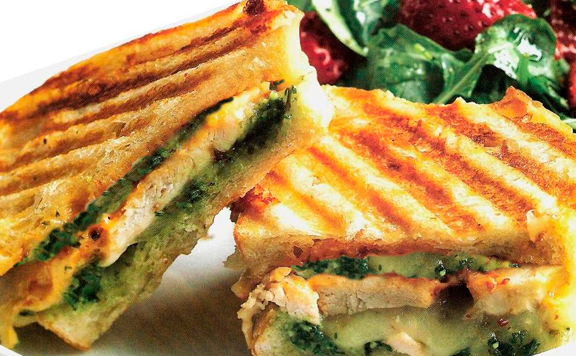 Basil pesto, grilled chicken breast, and provolone. Our housemade hummus, with spinach, red onion, tomato, avocado, and sliced cucumber. Stone ground mustard mayo with deli sliced ham and swiss cheese. Creamy tahini hummus served with warm pita and assorted crudites. 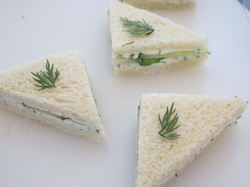 Cool cucumber slices and chive cream cheese spread on lightly toasted white bread and crusts cut off. Fresh spinach, crispy bacon, avocado, tomato, cucumber, red onion, and crumbled feta. Mixed greens, black beans, corn relish, red onions, topped with shredded cheese, sour cream, and salsa. Mixed greens + cabbage, Mandarin oranges, grilled chicken, with tomato, carrots, red onion, and topped with crunchy noodles.